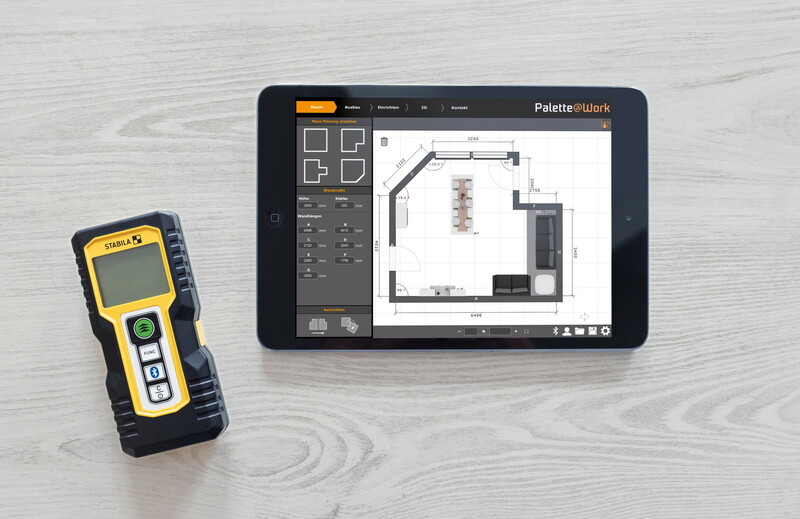 With Palette@Work you work even more efficiently, because with the new Laser Measurement System you can create rooms for further processing directly at the customers site. The dimensions from the laser are read into the app through Bluetooth. The measured space is then transferred to PaletteCAD and you can proceed with the design of the room. Through this continuous process complex sketches are finally belong to the past. Laser measurement instead of folding ruler. Palette@Work is suitable for all current Bluetooth laser measuring tools from Leica and Stabila. Due to the simple transfer to the tablet, you receive error-free dimensions in 3D. 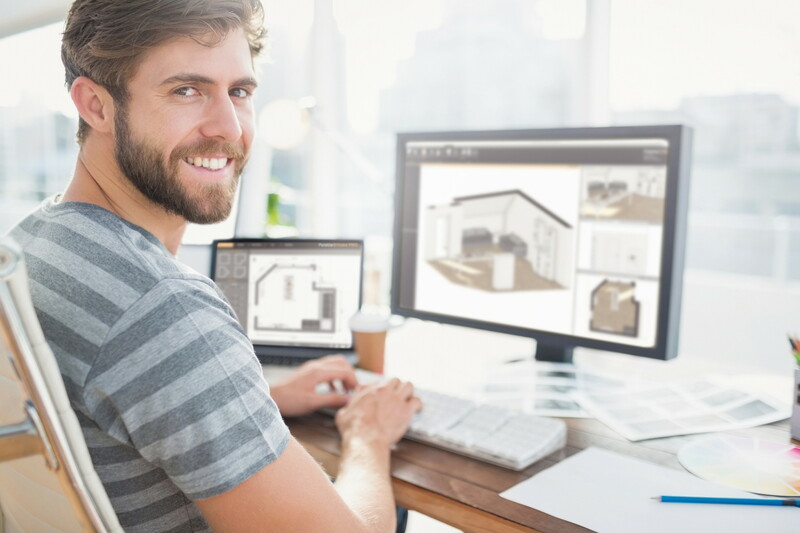 You save a lot of time by importing the finished room, which makes the entire planning process much more efficient. 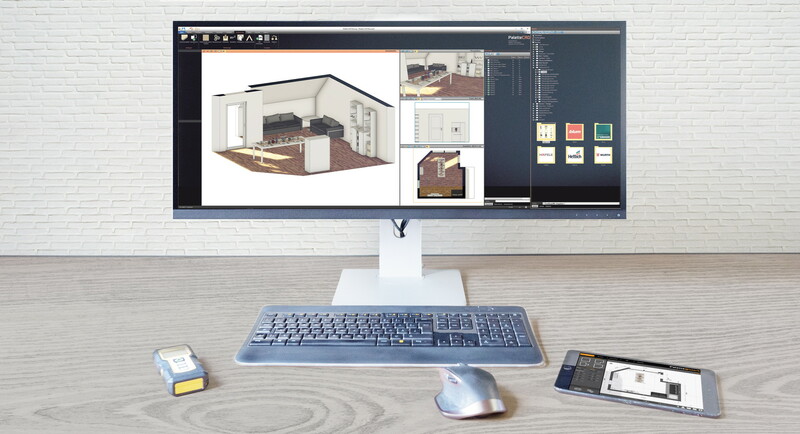 In addition, Palette@Work offers additional functions such as making digital notes, the creation of sloping ceilings or an extensive selection and floor and wall material. Say goodbye to your complex hand sketches and folding rule and welcome the digitization of the craft!